Join Indian Army Upcoming/Next Army Recruitment Rally Programme schedule for the district of Tikamgarh, Sheopur, Shivpuri, Sagar ,Panna, Morena, Bhind, Chhatarpur, Damoh, Datia, Guna, Gwalior and Ashoknagar in Madhya Pradesh State/ Rajya. Army Recruitment Office (ARO) Gwalior (Under HQ RTG Zone Bhopal) going to conduct a direct/open (Pre- Rally Online Registration is mandatory) Thal Sena Sainik Bharti Mela at Guna (M.P) to recruits thousands Bharatiya Sena Samannya (Sol G.D), Soldier Technical, Soldier Tradesman, Soldier Clerk/Store Keeper etc trades. 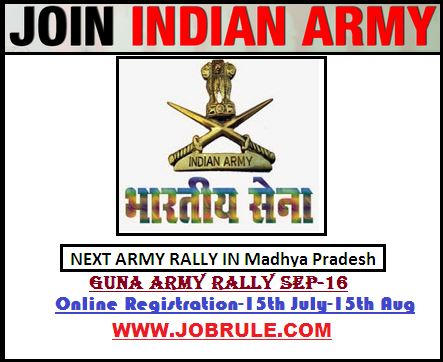 Check detail advertisement Upcoming Guna Army Rally 1st September to 10th September 2016. 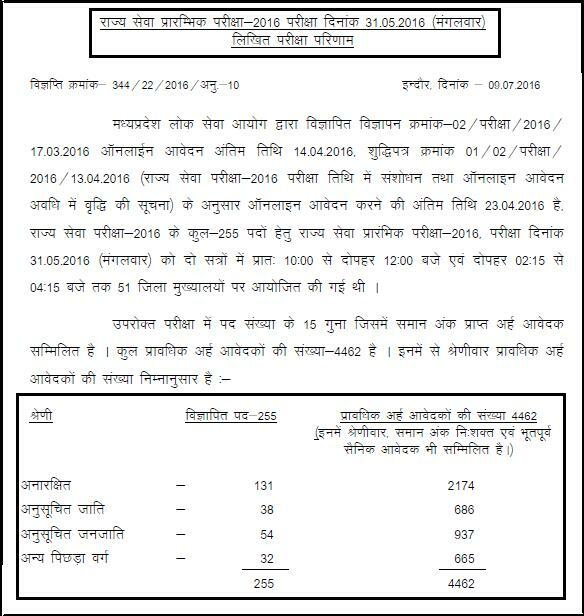 Madhya Pradesh Public Service Commission (Madhya Pradesh Lok Sewa Ayog) published MPPSC State Service Preliminary Examination 2016 Result & Category wise cut off marks. Candidates those who apply online and seated MPPSC State Service Preliminary exam dated 30th May 2016, may check their MPPSC Preliminary Pariksha Result by clicking below given direct link. Ordnance Factory Khamaria (OFK), Jabalpur, Madhya Pradesh (M.P), Indian Ordnance Factory, Under Ministry of Defence, Government of India, invites Online Application from eligible & interested candidates for recruitment to the post of “985 Semi Skilled Tradesman (D.B.Workers, Machinist, Examiner, Electroplater, Turner, Electrician ,Millwright ,Boiler Attendant, Fitter, Mason etc) on regular basis with pay scale Rs.5200-20200 with Grade Pay Rs.1800. All India Institute of Medical Sciences -AIIMS, Bhopal (Madhya Pradesh) invites Online Application for recruitment of Staff Nurse-Grade-II on Contractual basis with consolidated monthly Remuneration/Salary Rs.36,500. BHEL Bhopal invites Online Application from interested and eligible candidates for recruitment to the post of BHEL Bhopal (Madhya Pradesh) 682 ITI Trade Apprentice . Candidates those who have NCVT ITI certificate may apply online for 682 Trade Apprentice Post directly. To read more details go through below given direct link. 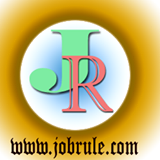 Madhya Pradesh Paschim Kshetra Vidyut Vitaran Company Limited, Indore, invites online application form interested and eligible candidates for recruitment to the post of Junior Engineer (Distribution) on regular basis for MP State Electricity Board.